FREE ADULT COLORING PAGE PRINTABLES JUST FOR YOU! I had not really ever tried adult coloring until after my last manic episode. My therapist introduced me to it and we did a lot of coloring page printables in group therapy. Since coloring these complex mandalas, owls, flowers, quotes, and enchanted garden scenes help me to relax and practice mindfulness, I decided to curate a list of free adult coloring page printables for you! Whether you have a chronic or mental illness, I believe you will find that coloring makes a profound impact on your mood and state of mind. Coloring can also be a great hobby. 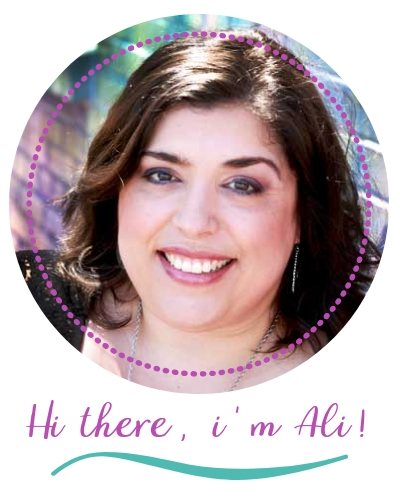 I talk about other great hobbies in this post. Most people color with gel pens, coptic markers, or colored pencils. Just try out different ones to get a feel on what you prefer. I have created my own free adult coloring pages for you! Each page includes an inspirational word to color ~ BRAVE ~ HOPE ~ WARRIOR ~ COURAGE. You can download them from my Resource Library by clicking the button below. 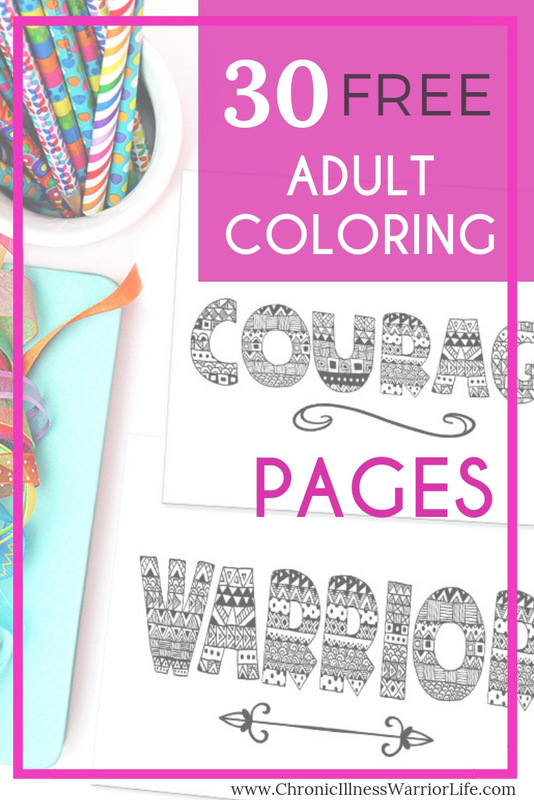 DOWNLOAD MY WARRIOR COLORING PAGES! I don’t know about you, but after all of these free coloring page printables, I am ready to break out my colored pencils and get to work coloring. How about you? 1. Right click and save as JPEG then save to your computer or Dropbox folder. 2. Export as PDF or JPEG and choose a location on your computer to save it. Some people prefer to print out their free adult coloring page printables at home. I like to save my printer ink and print mine at my local Office Depot. Did you know that Adult coloring is great for someone with depression? Read my GIFT GUIDE FOR THE MOST THOUGHTFUL GIFTS FOR SOMEONE WITH DEPRESSION. Read more about things you can do for yourself . . .
P.S. WOULD YOU DO ME A FAVOR AND PIN 30 Adult Coloring Pages FOR LATER?